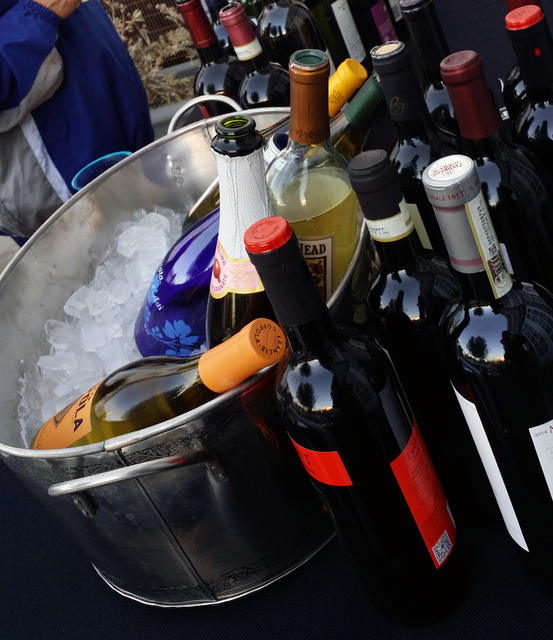 1 GLOW WALK: Join wine enthusiasts, friends and local businesses for the Best Dam Wine Walk on Saturday from 4-8 p.m. Complimentary glow ice cubes will be given away at check-in. The first stop is Bella Marketplace, 1212 Wyoming St. Tickets are $25 per person or $45 per couple. Call the Boulder City Chamber of Commerce at 702-293-2034 for more information. File The Best Dam Wine Walk will take place in more than 20 business Saturday from 4-8 p.m. Complimentary glowing ice cubes will be given out at check in. File Arts and crafts will fill the gym at the city's recreation center Saturday and Sunday as Boulder City Art Guild hosts its 13th annual Winter ArtFest. 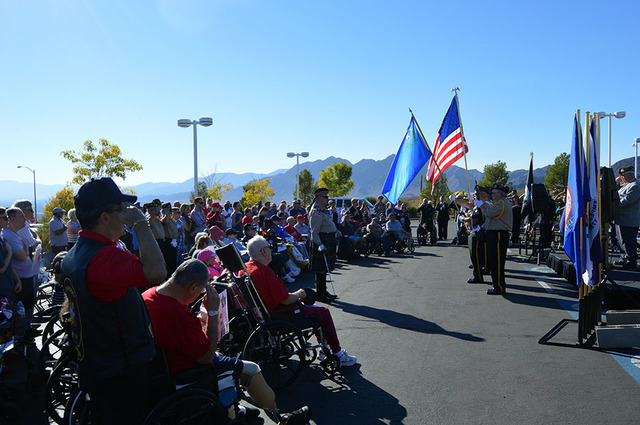 File Civilians and veterans will pay their respects to those who have served on Veterans Day at the Nevada State Veterans Home in Boulder City. 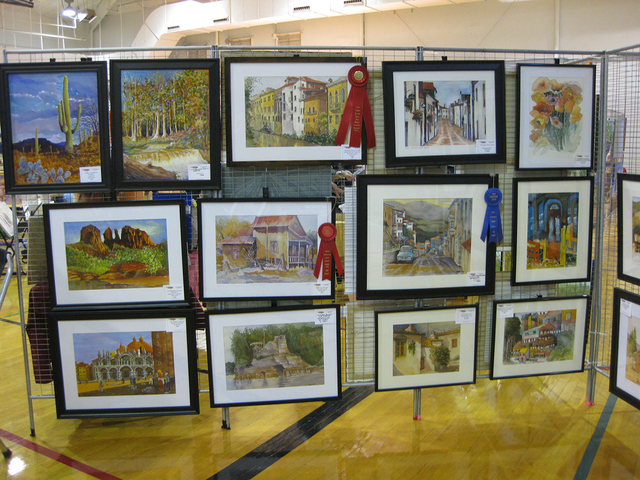 2 ARTFUL EXPRESSIONS: Fine arts created by local residents will be showcased at the 13th annual Winter ArtFest presented by the Boulder City Art Guild. The show, to be held in the large gym at the Boulder City Parks and Recreation Center, 900 Arizona St., will feature works by more than 30 artists. There also will be a special tribute in honor of Veterans Day. Show hours are 9 a.m. to 4 p.m. Saturday and Sunday. Visit www.bouldercityartguild.com for more information. 3 EMOTIONAL TRIBUTE: Pay homage to the men and women who gave their all in service of our nation during a Veterans Day ceremony at 1:30 p.m. Saturday at the Nevada State Veterans Home, 100 Veterans Memorial Drive. The event will recognize all branches of the service through music, tributes and a flyover by the Boulder City Veterans Pilot Group. The keynote speakers are Wendy Smith of the Nevada Department of Veterans Services and John Stroud, past VFW national commander in chief. Admission is free.